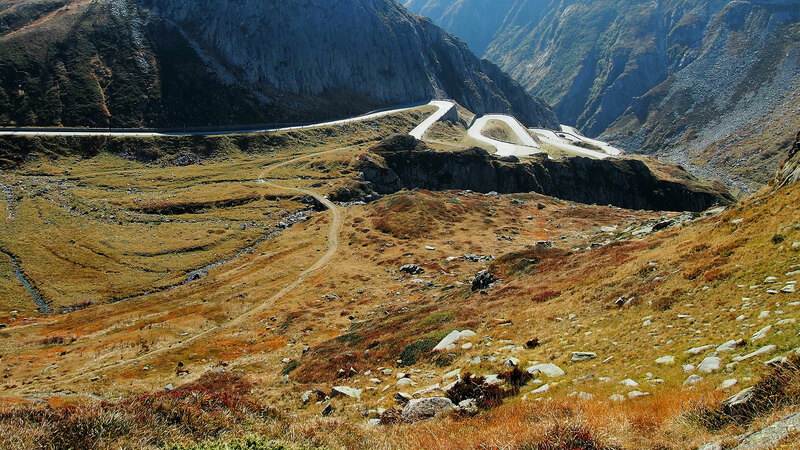 The ancient road of the Tremola is a marvel. 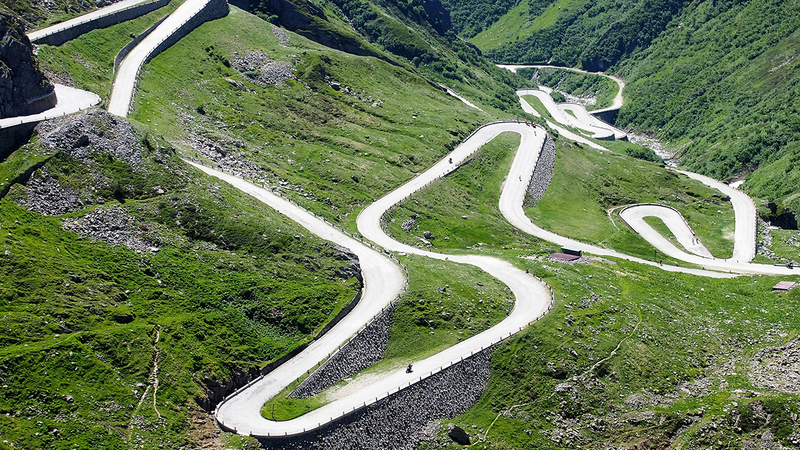 This serpentine cobbles, with its 24 hairpin bends, joins Airolo to the Gotthard Pass. 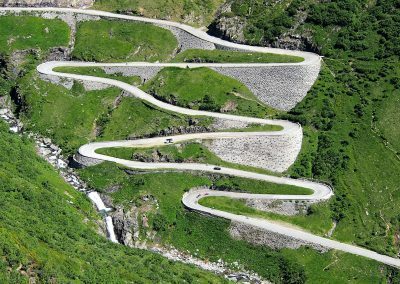 In most spectacular twists and turns the Tremola steps you, in just four kilometers, to an altitude difference of 300 meters. 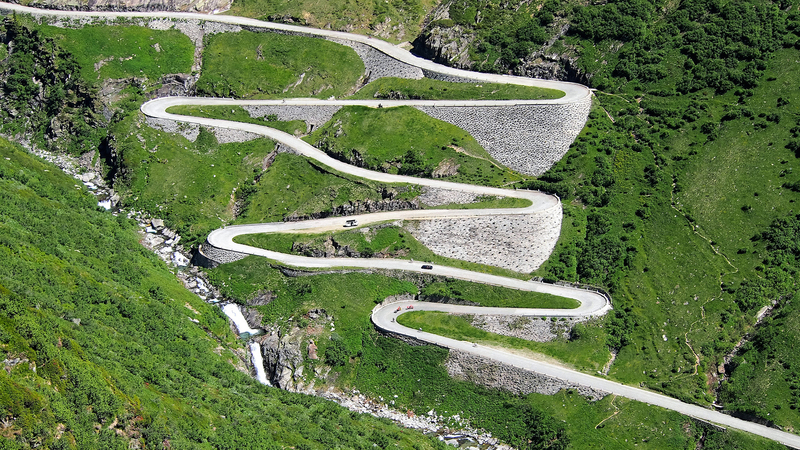 This work is part of the first carriage road through the Gotthard and was built between 1828 and 1832 by the engineer from Ticino Francesco Moschini. Before there was only a mule track. 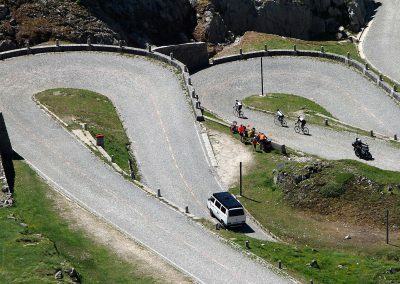 For a cyclist the Tremola is the Paris-Roubaix of the Alps. 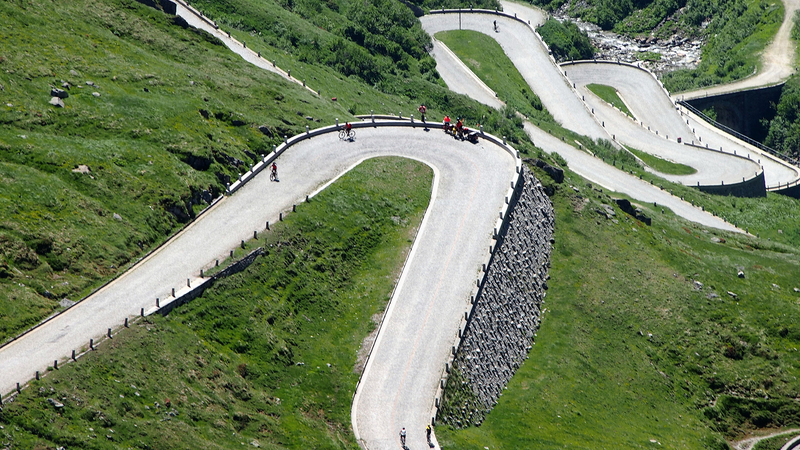 The village of Airolo is the ideal starting point for a tour of the passes across Ticino, Valais, Uri and Graubünden. 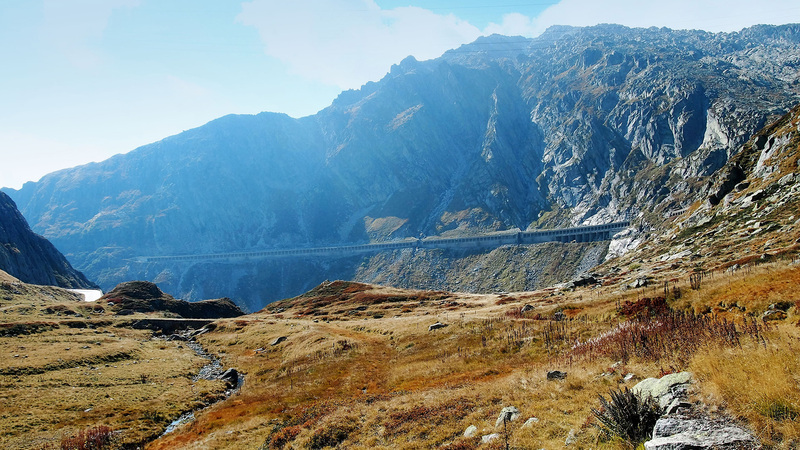 Airolo is located on the southern slopes of the legendary Gotthard Pass: the top of Europe and the unity emblem of the Swiss identity. 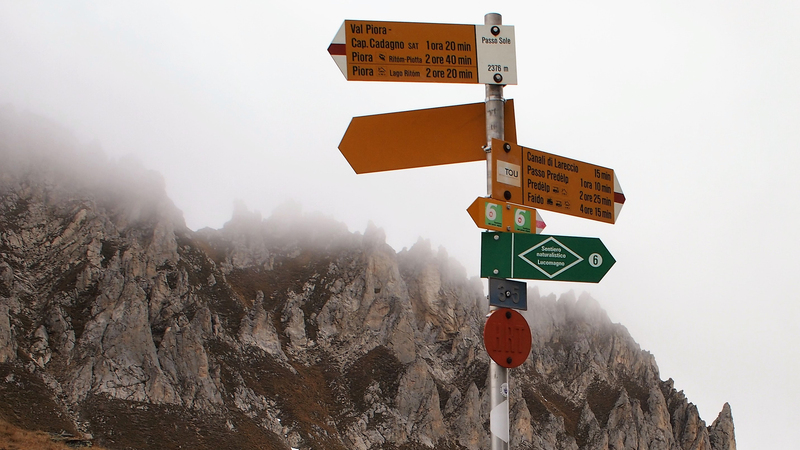 The town is also gateway to the Val Bedretto and the Nufenen Pass. 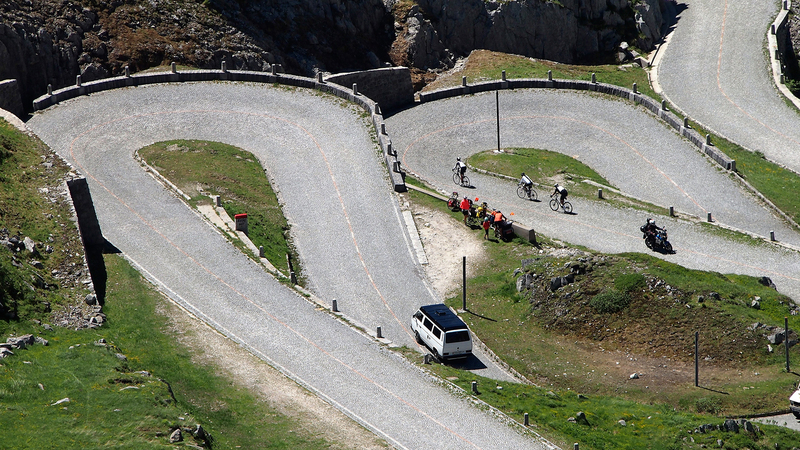 Here, every summer hundreds of cyclists will gather for the Granfondo del Gottardo. 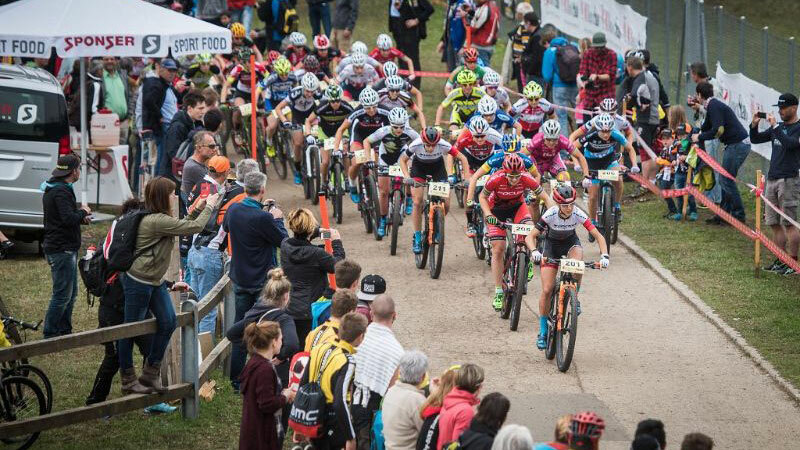 The competition is spread along three passes, 110 kilometers and 2,900 meters in altitude change. 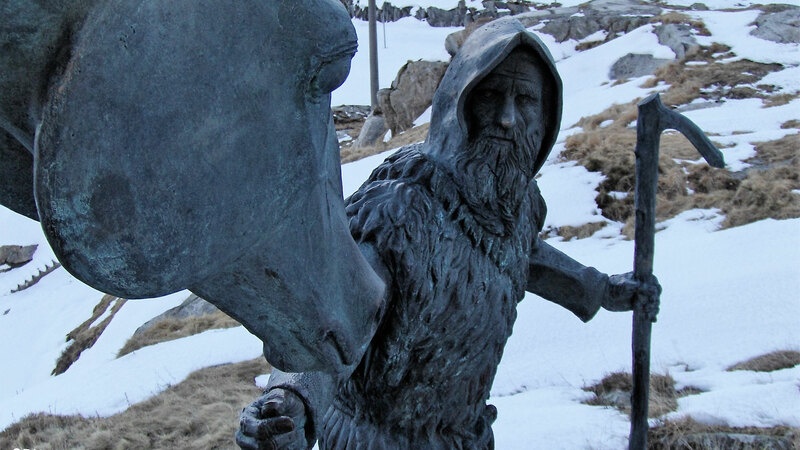 Airolo is the ideal starting point for exploring the four springs of four major European rivers: the Ticino, the Reuss, the Rhine and the Rhone. 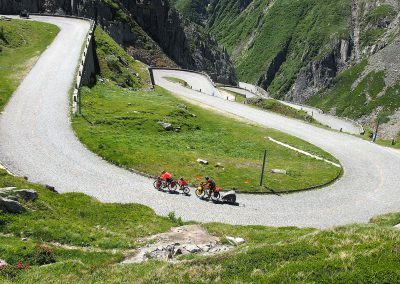 Discover the Gotthard region on your bikes. 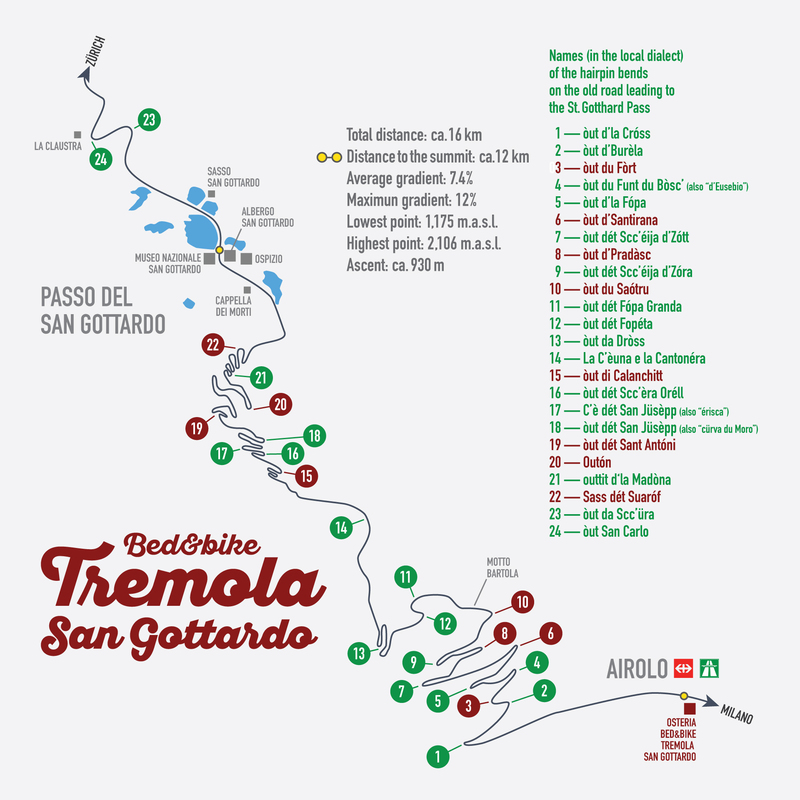 The Bed&bike Tremola San Gottardo offers you a bike rental service. Military bike (Ordonnanz Velo 1904) — It weighs more than 20kg and is still much appreciated for its strength. 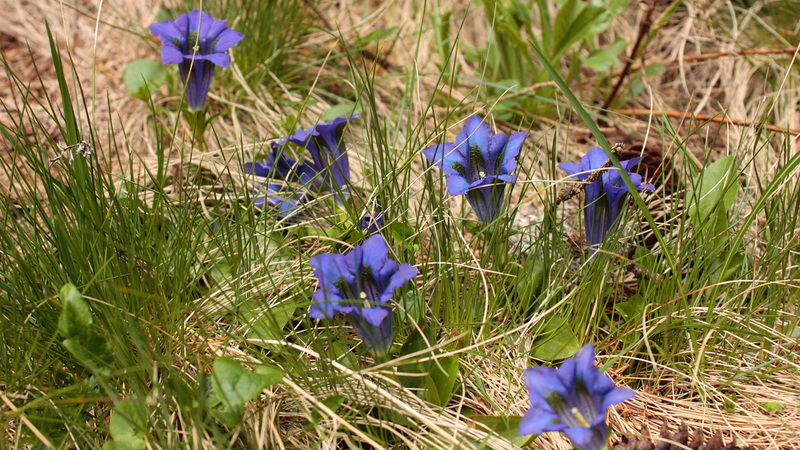 Requires a physical effort out of the ordinary. 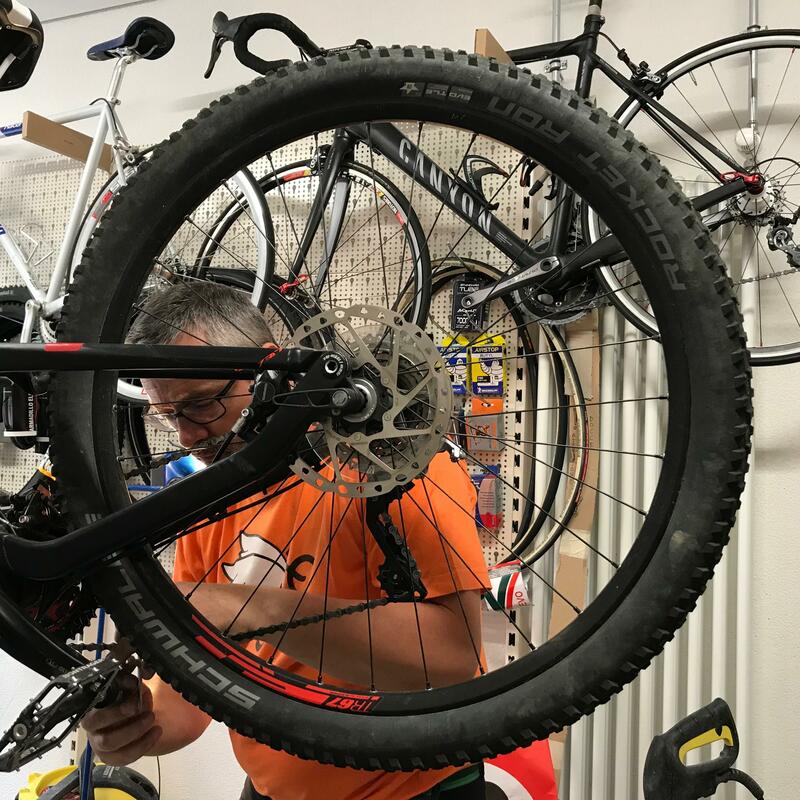 Fat-bike — This bike with big fat wheels is ideal for riding on snow and rough terrain. 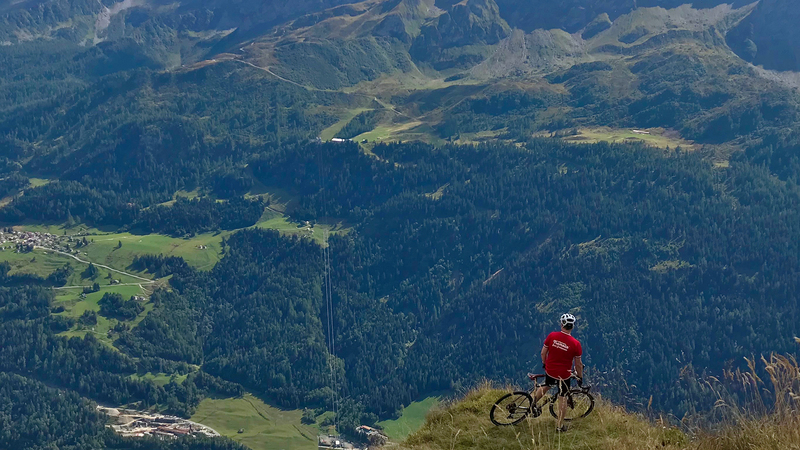 The challenge is on. 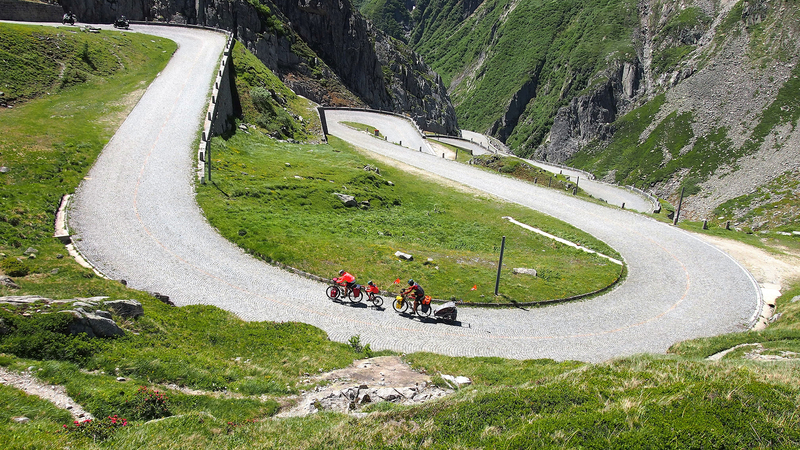 The Turin-born Andrea Cubisino climbed the Tremola on an old military bike in 1 hour and 5 minutes. All you have to do is to repeat and improve on Andrea’s achievement to become our Champion. Alternatevely you can start a new competition with another type bike, provided this was made before 1986. Just let us know and we’ll make sure the time is certified by us. 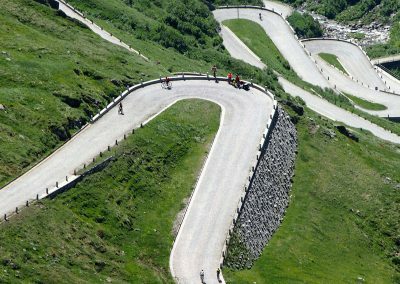 On 22 July 2018, for the first time, La Leggendaria – an historic non competitive race – will be held during the Gran Fondo Gottardo. 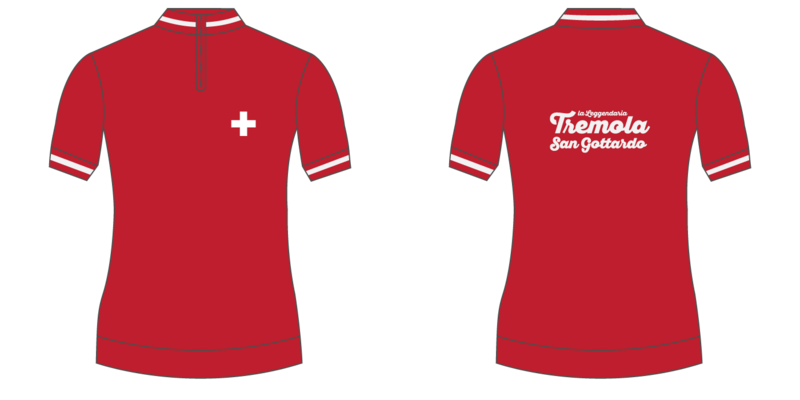 This non-competitive race, starting from Ambrì Piotta and ending at the Passo del San Gottardo will be open to vintage bikes (manufactured before 1989) and clothing.